A government chart — part of a federal court brief — lays out what happens to immigrant children separated from the adults who brought them to the U.S. It shows three outcomes. Only one ends in reunification. When did the feds get so fascinated with charts? The government’s latest visual aid is a flow chart showing the decision-making process for reunifying the children separated from adults as they entered the United States from Mexico. It’s really something. It shows three outcomes for separated children, and only one of them gets the kids home. Door #1 sends the kids to reunite with their families. Door #2, labeled “due diligence actions in the interest of the child,” is what happens — temporarily — to kids whose DNA doesn’t match the adults with whom they entered the country, those whose parents are not available or who don’t want to be reunited with their children, and those who fall ill while in the government’s care. Some get back to their families. Some end up alone, in the care of the United States of America. Most but not all of these immigrants were entering the country illegally, according to court testimony. And though it wasn’t the reason they were stopped in the first place, federal authorities say some of the adults bringing kids into the United States are not their parents. Some of the adults, it turns out, were baddies of various kinds. That’s why some of the kids who were separated aren’t being reunited with the adults they came in with. And since they were allowed to come into the country in the first place, many of those children are now wards of the federal government. 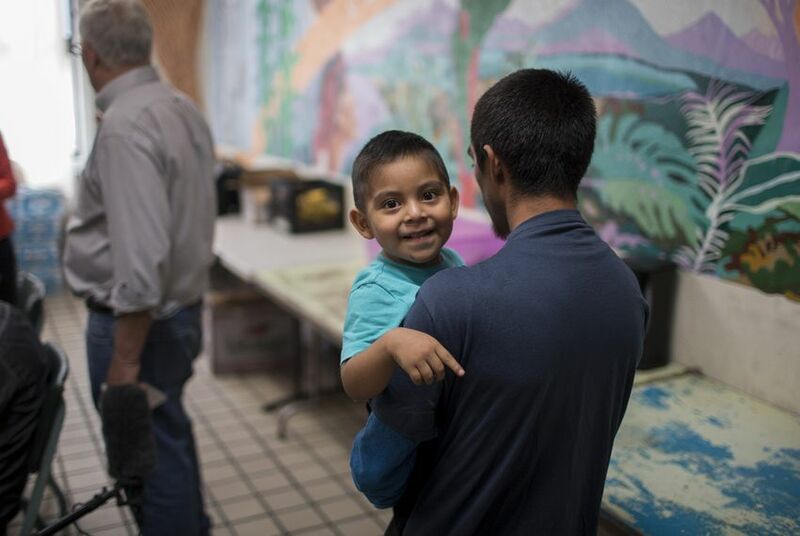 To date, the minors appear to be victims, put in this situation first by the parents or other adults who brought them to the United States, then by a federal immigration apparatus ill-prepared to send them along their way, whether that’s outside of this country or into a well-defined system for immigrants seeking asylum here. We’ve adopted them, at least temporarily. It’s hard to believe that was the government’s desired outcome for immigration and border security policy. If the idea was that the kids and the adults who brought them shouldn’t be here at all, why not turn them all away at the border and be done with it? If the idea was that these kids should be brought into this country, placed with families, relatives or foster parents and put on a path to citizenship or deported, why would we deport parents while their kids are still in federal custody or care? U.S. immigration policy is so scrambled and politicized, the country can’t get this right from almost any point of view. And instead of examining intentions — sorting out what the congressional and executive branches were trying to do when they put their policies in place — it’s time to examine the results, intentional or not. The result is a big, big mess. And as it turns out, the government’s pictures are worth 1,000 words. Last week’s government art project showed what happened to the 103 infants and toddlers who were supposed to be reunited under a federal court order. The results were discouraging: 57 were reunited by the court-ordered deadline, while 46 were found to be “ineligible for reunification.” In 22 cases, the adults in question were themselves questionable, either because they had criminal histories, were not parents, were accused of child abuse or were themselves ill. The other two dozen had either been deported, jailed for other offenses or were in unknown locations. If they get the same results with the 2,551 kids the government now says are subject to court-ordered relocation, about 1,100 don’t have family reunions in their immediate futures. It's probably safe to say Congress and the administration didn’t plan for things to come out this way. If we take these kids in, for whatever reason, we have to take care of them. It’s a new version of what was known as the Pottery Barn Rule when George W. Bush was president: You break it, you buy it. In those days, it applied to countries. Now it applies to immigrant families.